We dont have a boat atm. But we can help you find others to take you on a boattour, writhe us and we will see what we can do. Welcome to the Sisimiut Boatcharters homepage. Whether you live in Sisimiut, have come from another part of Greenland or are here as a tourist, then we would like to offer you a boat trip in the Sisimiut area, at a reasonable price. So if you dream of trout and general fishing trips, whale safaris or hunting trips, but don’t have the boat, then we have the solution. 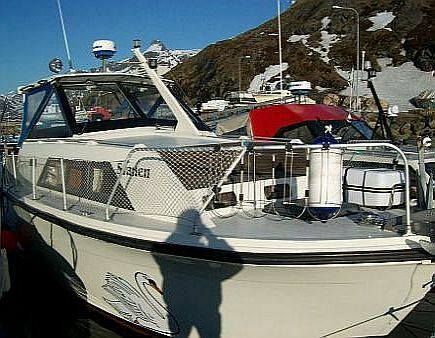 So if you dream of trout and general fishing trips or whale safaris, but don’t have the boat, then we have the solution. The only condition is that you need to become a member of the Boat Owner Club Svanen, before you can go sailing. This can be done by filling out an application form before your first trip. Your first subscription will be deducted from your first visit.